When it comes to eReaders, the new Kindle Paperwhite has chops. Amazon turned heads this week when it unveiled the latest Kindle Paperwhite. The new model comes with some serious upgrades for bookworms. Plus, its reasonable price point ($130) makes it far and away the best budget-friendly waterproof eReader on the market. But will all those upgrades make the new Paperwhite a hit for the holidays? The fact that the new Kindle Paperwhite is waterproof is a big selling point for those who like to curl up with a good book while poolside, at the beach, or relaxing in the bath tub. You can submerge it in six feet of water for up to an hour without causing any damage, according to Amazon. The Paperwhite also boasts six months of Kindle Unlimited for free (a $60 value), as well as access to Audible. This means readers can easily toggle between reading and listening to audio books. It's also equipped with Bluetooth, so you can sync it with speakers, headphones and other Bluetooth devices. Let's talk storage. The base-level model holds twice as much space (8GB) as the previous Paperwhite. Additionally, Amazon is also spotlighting two other versions — a 32GB model for $160 and a 32GB version for $250 that includes 3G. As for design, readers are in for a few upgrades here, as well. This is the lightest, thinnest Paperwhite to date. It boasts a 6-inch, high resolution 300 ppi display, like the previous model, but with an extra LED light to make it brighter. The most noticeable change, however, is a flush-front screen that lays flat. The result is a sleeker, glare-free reading experience. 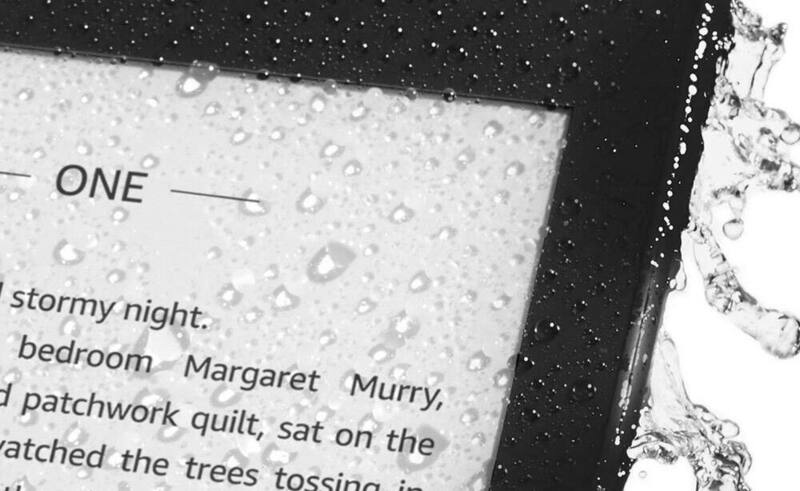 If you plan on sharing this eReader with the family, Amazon also added in new custom settings so that you can quickly switch between different fonts and styles. It isn't unlike sitting down in your car, pushing a button, and having the seat automatically move into your preferred position. When compared to the higher-end $250 Kindle Oasis, the new Paperwhite holds its own. Both are waterproof and feature the same resolution and storage options. Sure, the Oasis is an inch bigger, a little brighter, and is available in more colors, but the Paperwhite's lower price gives it a run for its money. And while the Paperwhite doesn't start shipping until Nov. 7, it is available now for pre-order. If you're looking for a deal on the latest Kindle Paperwhite, we should mention that the relatively low $130 price is only available if you opt for special offers. All this means is that you can expect sponsored screensavers, special offers and personalized advertising. As for other discounts, only time will tell what bargains Amazon will bring to the table. Last month, they had a six-month Kindle Unlimited subscription up for grabs for just $30. 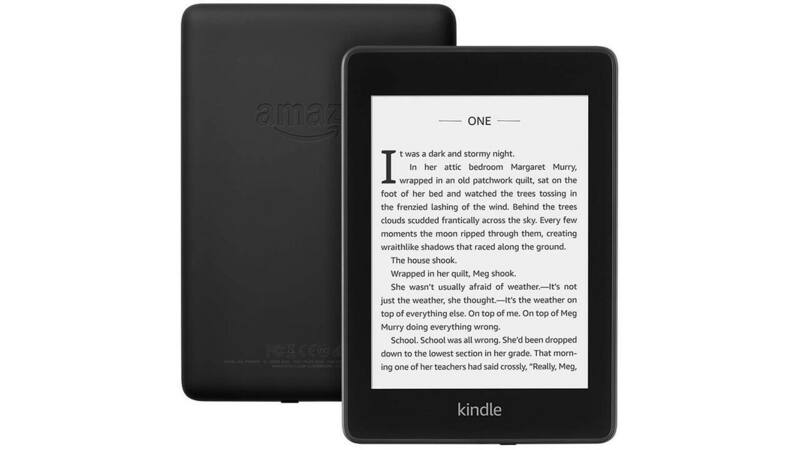 Refurbished Kindle Voyages (now discontinued) were also recently marked down to $95. We wouldn't expect to see any major price cuts on this new Kindle Paperwhite any time soon, but be on the look out for big discounts on older models as we head into the holiday shopping season. In the meantime, all eyes are looking forward. Will the new Paperwhite be on your shopping list? Or will you be waiting for better discounts? See more products and deals like this on our Amazon Store Page.